Social media is greatly affecting the lives of people, does not even matter whether it is for better or for the worse. 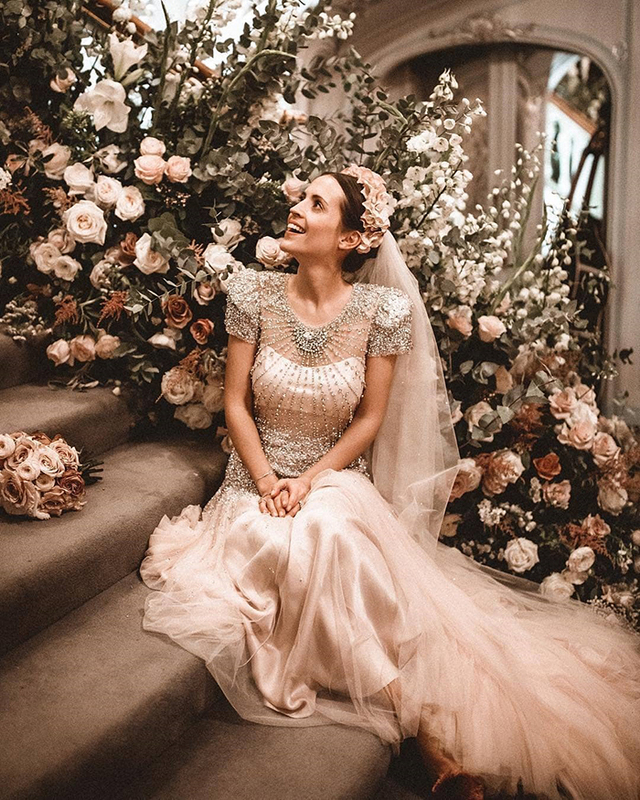 Assuming that you want to plan a wedding that will leave a mark on your guests for ages to come and at the same time create an Instagram worthy wedding theme trend. Planning a perfect wedding is always a strenuous task. 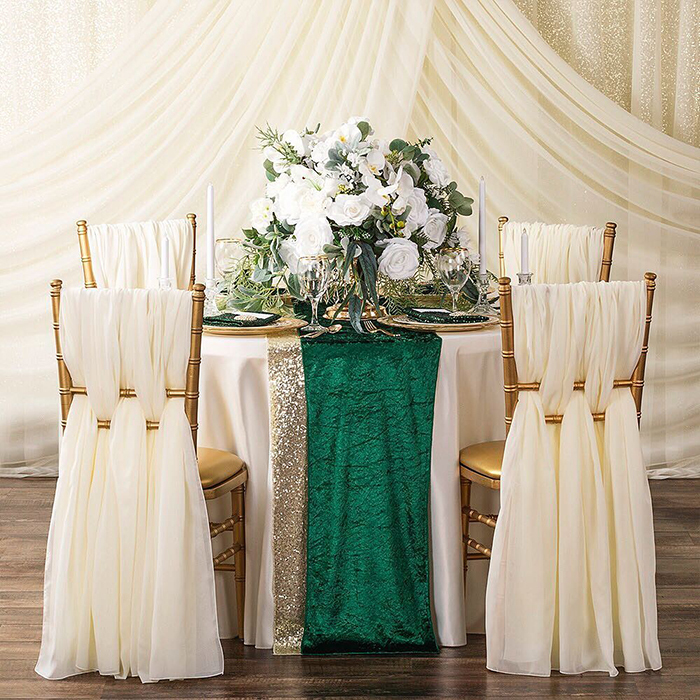 The wedding budget is another factor that can pose financial threats, especially for a lavish decor. 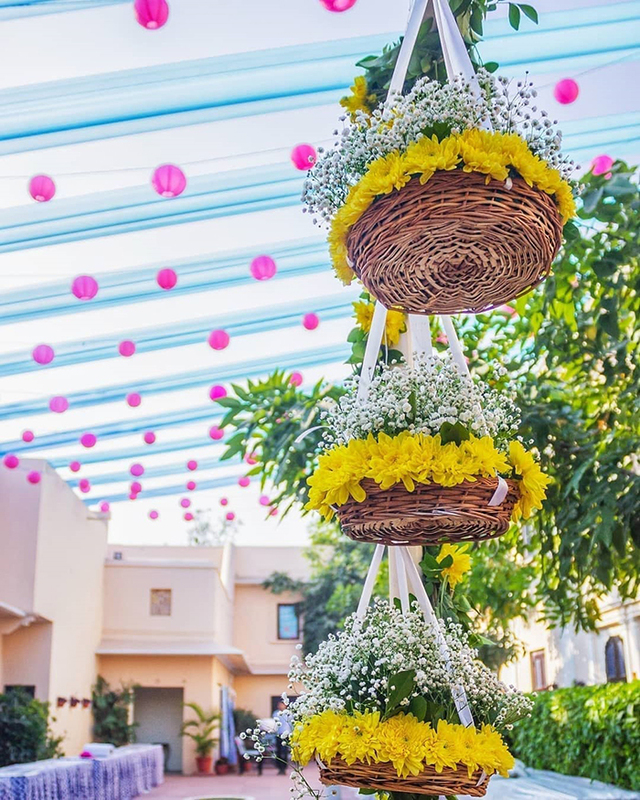 Setting up an ethereal ambiance with huge floral centerpieces, beautiful hangings and drapes is something that needs budget allocation and proper planning. You can still have a lavish, modern and chic décor by incorporating cheap décor elements alternatives. DIY ideas are always here to help. Creative couples are not leaving this option behind. 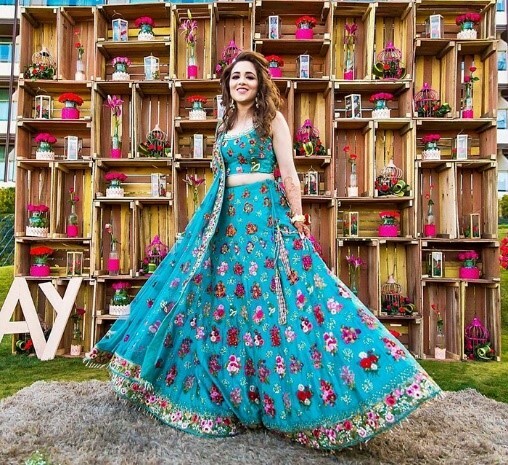 You can have all the glitter and spark of an Instagram worthy wedding theme just by following the inspirations that we have collected for all the romantic couples. 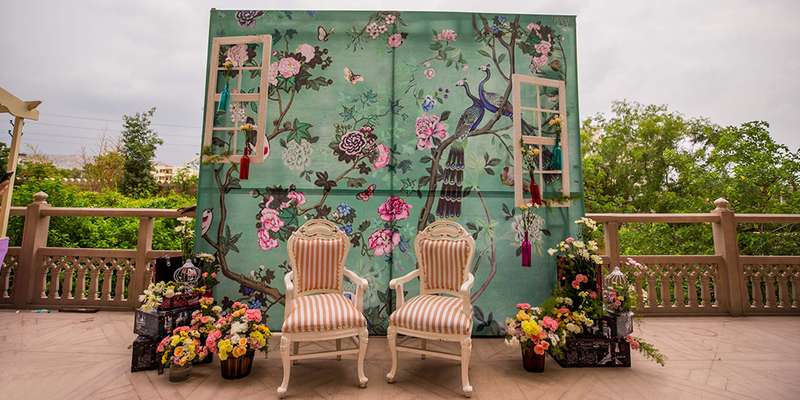 1.Having hangings on your venue will be enough to create a spectacular view for your guests. 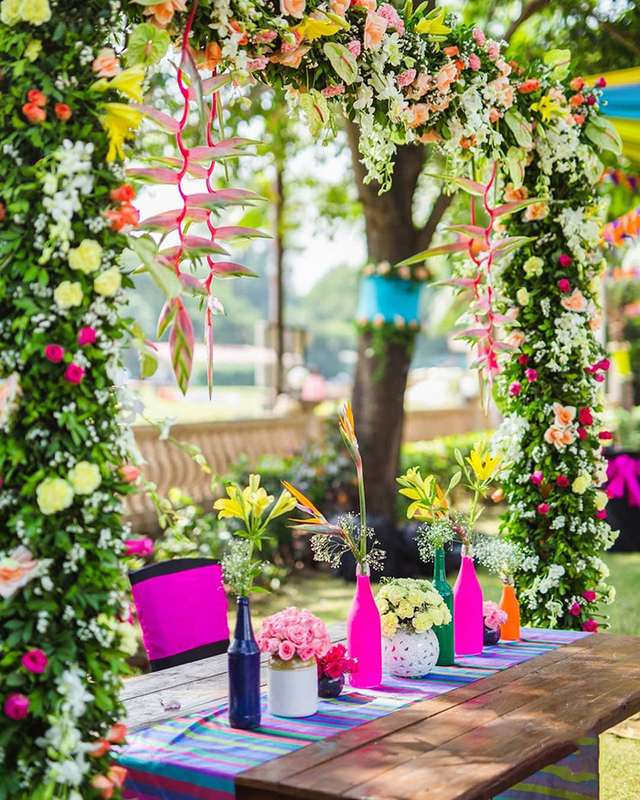 Consider the bright flowers and hang around your venue. 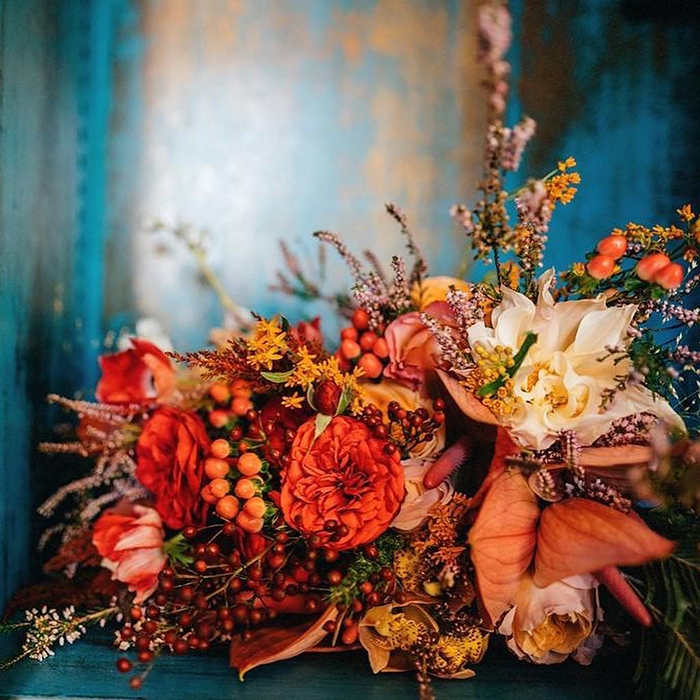 2.The floral centerpieces will never get out of trend list. So make sure you have one for your wedding tables. Pick the flowers that you like the most. 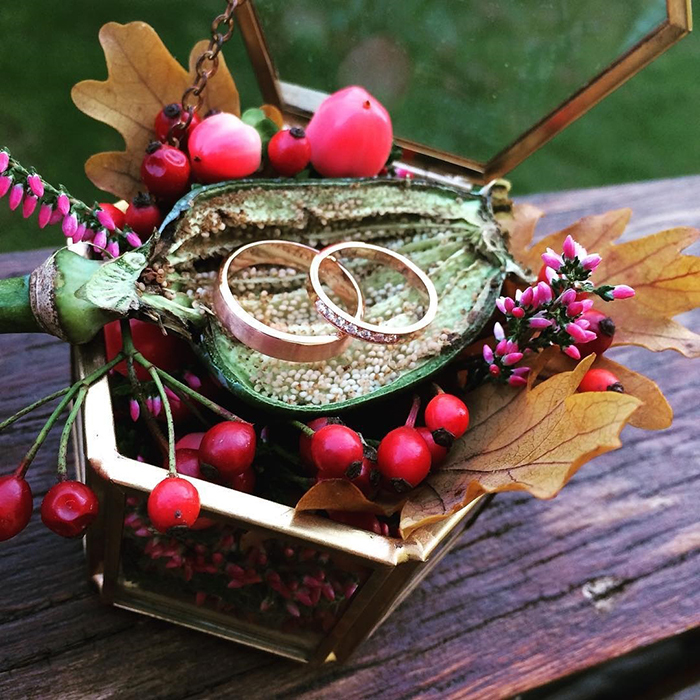 3.The statement and creative ring holder is for all the funky couples. Look out for more inspirations for your big day. 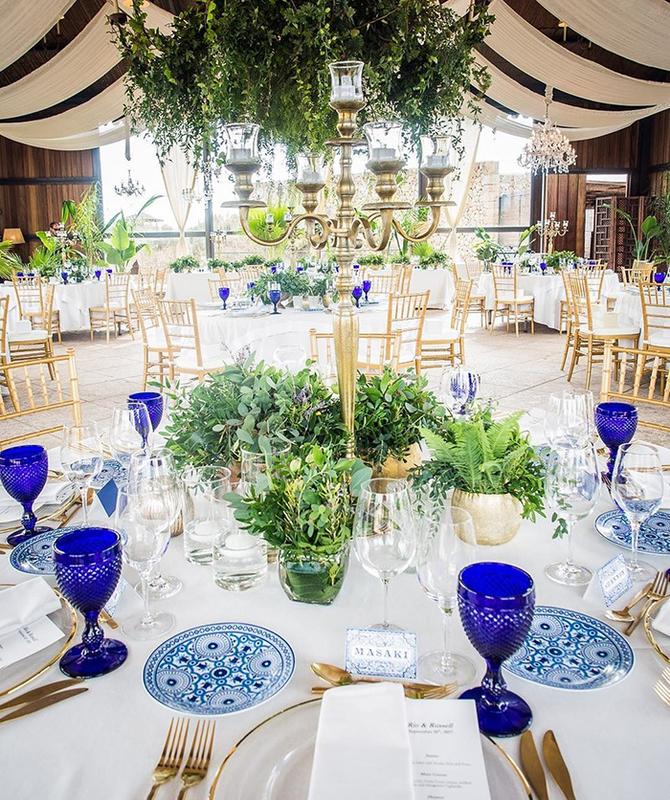 4.Finish your wedding table look with the blue crockery or crystal ware on a white tablecloth. Nothing will be more Instagram-worthy than this tablescape. Add a lush of greenery, hang some ferns from the ceiling and put some at the center of your wedding table centerpieces. 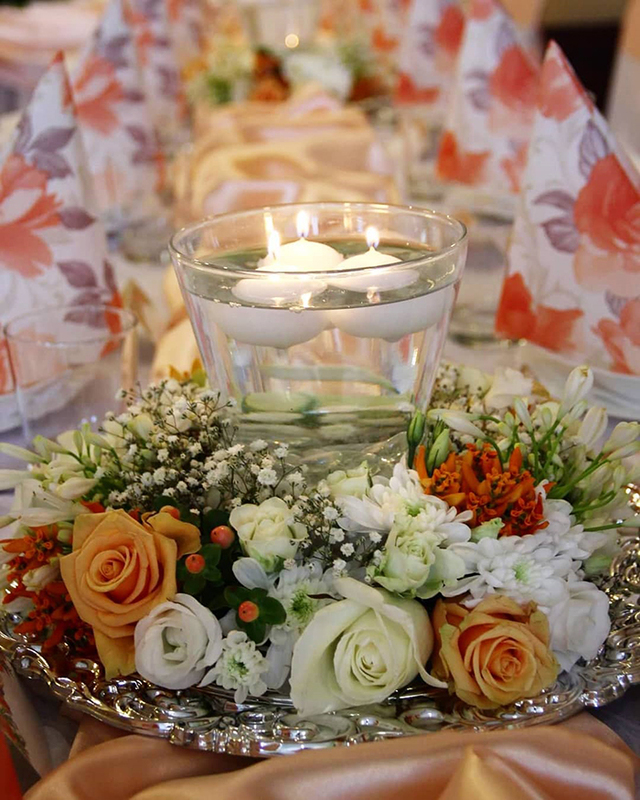 5.Wedding table centerpieces will give a lot of room for creativity. Candles and flowers always make a perfect duo. Consider both together for the beautiful visual display. 6.The beautiful floral setting along the stairs will make a perfect photo booth arrangement for your wedding photography. 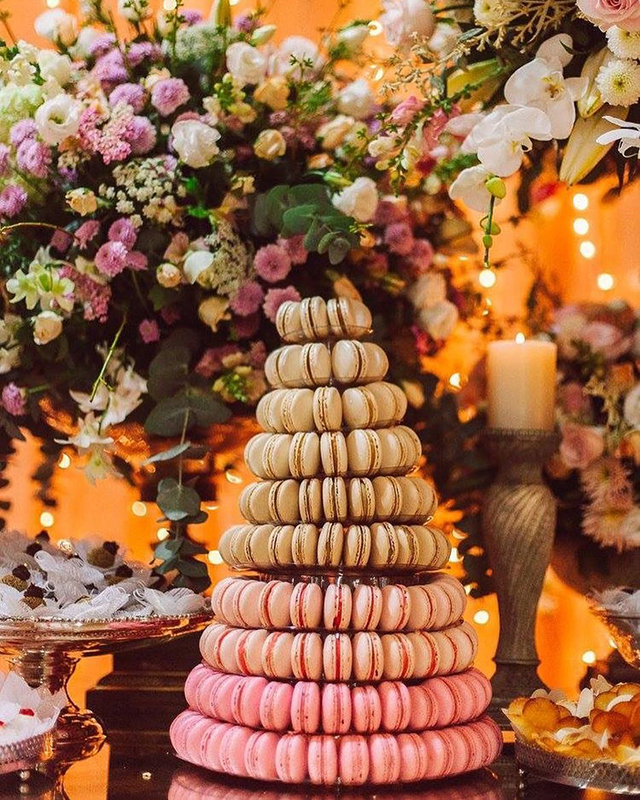 7.The dessert table is taking the décor game to the next level. Don it up with floral details and tasty treats for your guests. 8.The trend of wrapping a cloth around the chair is taking center stage. It completes the décor look and adds an elegant touch to it. 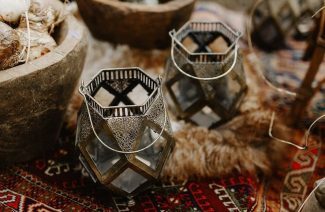 9.The vintage candelabra is coming back to the décor and taking its place in the trend list. 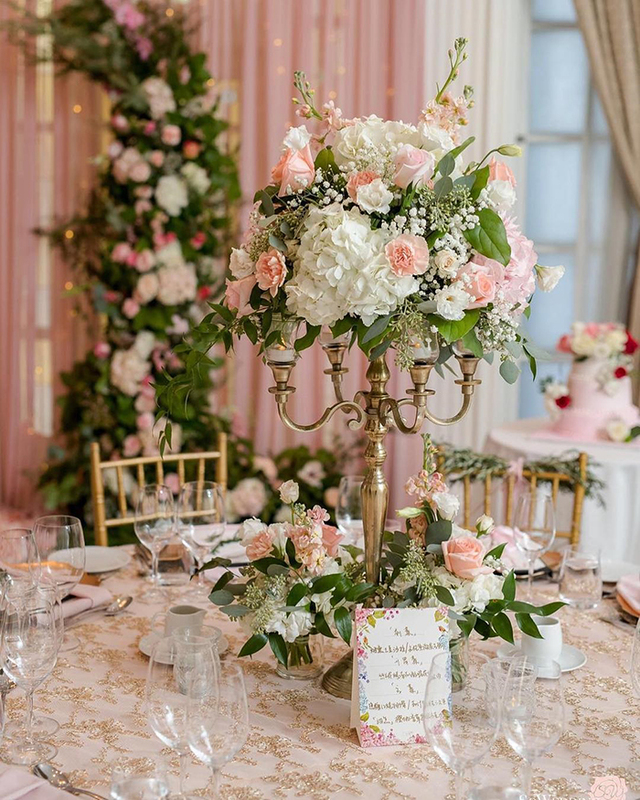 Golden candelabra with pink roses, nothing will be more perfect than this for your dream and intimate union. 10.DIY décor elements are not going out of trends. Such ideas add the personal touch to your décor and elevate your entire celebrations. 11.You cannot have a photo booth without adding your own creativity. And we believe it is an excellent way to introduce your touch in your décor. Pick the idea that you like the most. 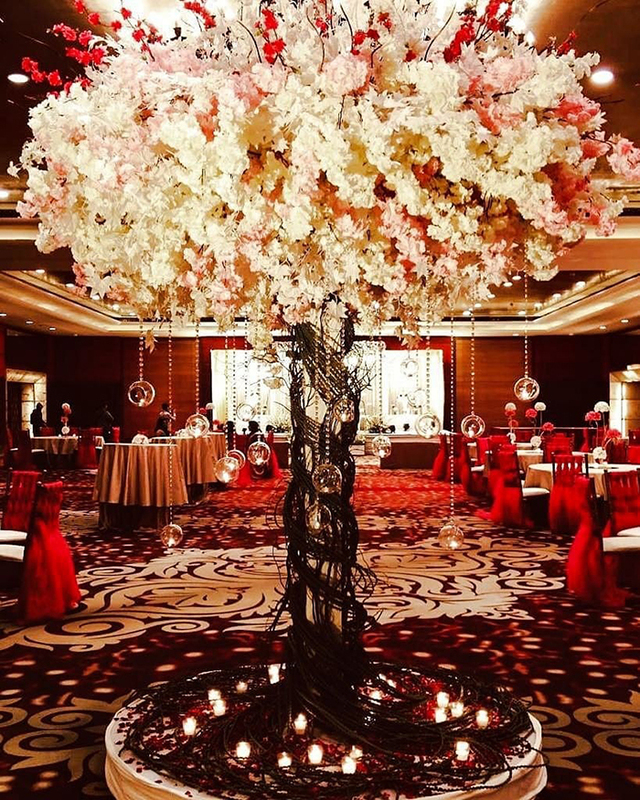 12.The huge floral arrangements on your venue will be nothing less than a dream come true. 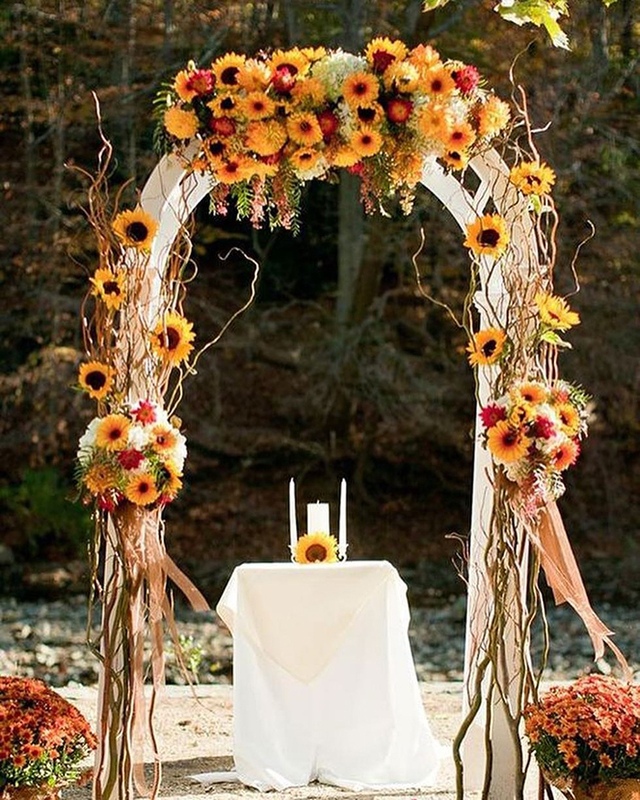 We recommend you not to go over the board when it comes to huge floral arrangements. 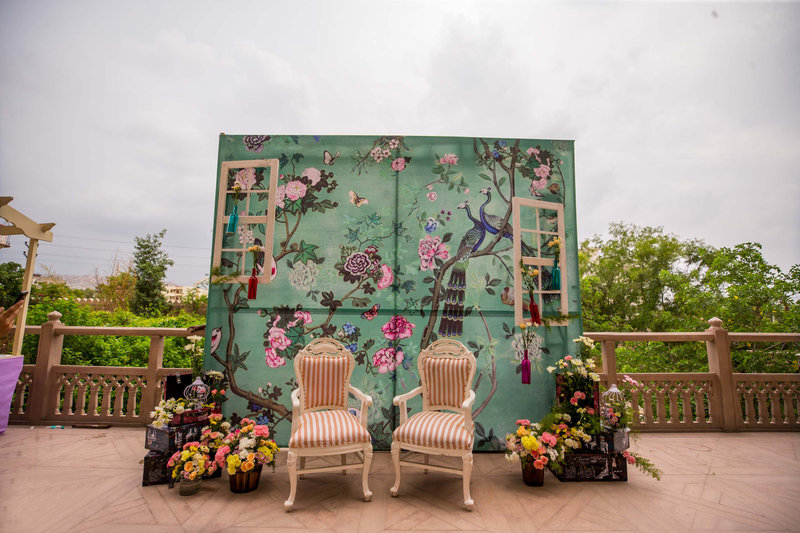 13.Brides sitting on the picturesque floral swing will give you such beautiful and magical vibes, straight from the fairytale. 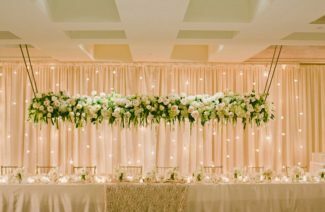 14.Minimalist décor is a new trend that is gaining popularity because it is easy on the wedding budget as well. 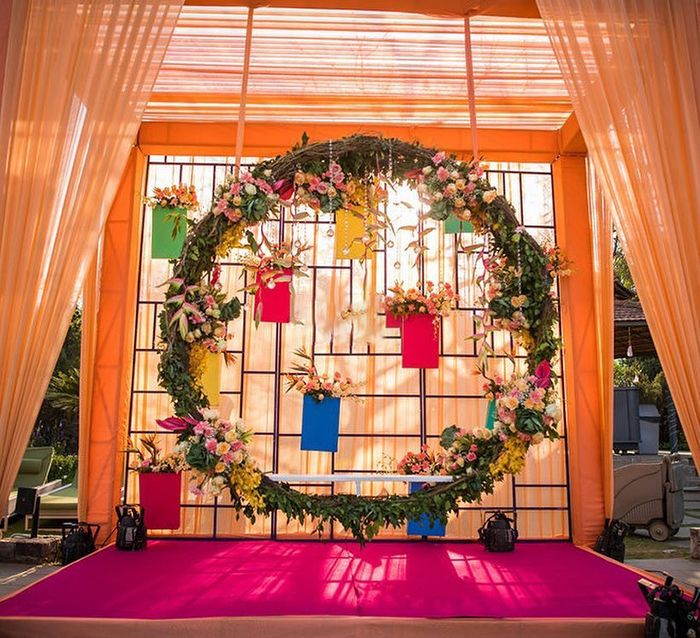 15.The most magical décor trend that we have seen so far is the floral arch or arbor. It gives out the fairyland vibes to your whole celebrations. These are some of our favorite Instagram-worthy décor theme trends that you would love to incorporate in your décor. Plan a wedding that will leave a mark on your guests for ages to come and at the same time create an Instagram worthy wedding theme trend.